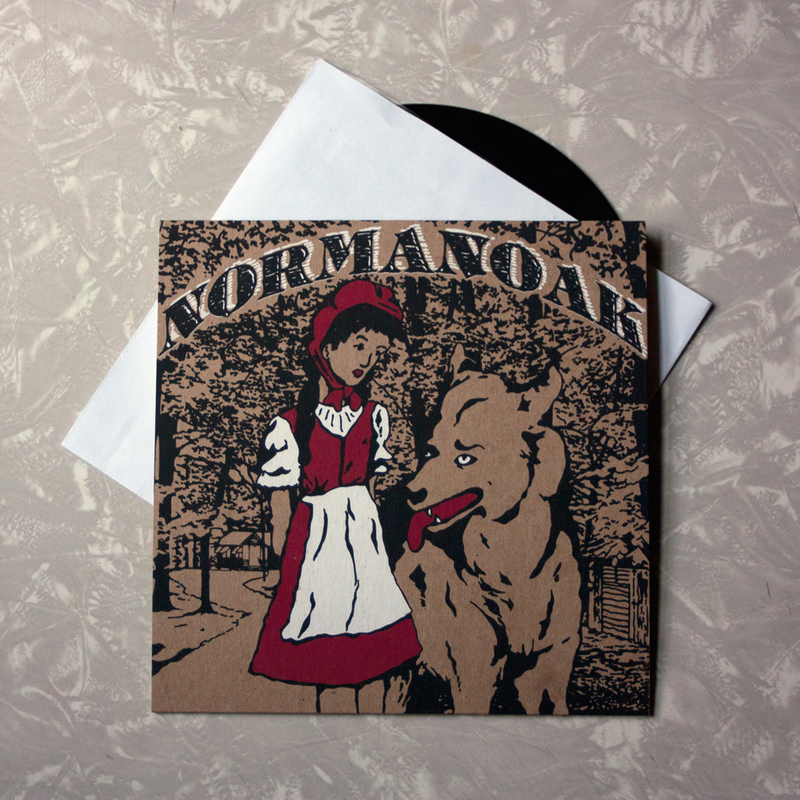 Normanoak - Make Your Own Way — Future Oak Record Co.
Normanoak of Bloomington, Indiana is the brainchild of Chris Barth whom you might remember as the creative force behind the 2000's band The Impossible Shapes. Under this solo project, which grew from the ashes as a sort of parallel existence, Chris has released 6 LP's and a handful of releases you need to be in the right place at the right time to pick up -- this is one of the latter. The songs on this 7" are suitable for the season. They're red and brown when visualized; streaks of orange and the occasional flash of yellow. They smell like fallen leaves, and are seemingly just as infinite. While you must admire the unchained beauty, you can't stop but marvel at the twisted form the structures take once they are revealed. Each record was lathe-cut by hand. The artwork was screenprinted in three layers on thick chipboard. This project is limited to 50 copies, so don't hesitate in ordering yours.